JNL Construction offers a wide range of concreting solutions to help meet the needs of your construction projects. As part of our services, we can help you build and install concrete footpaths, whether you’re a homeowner or a business owner. 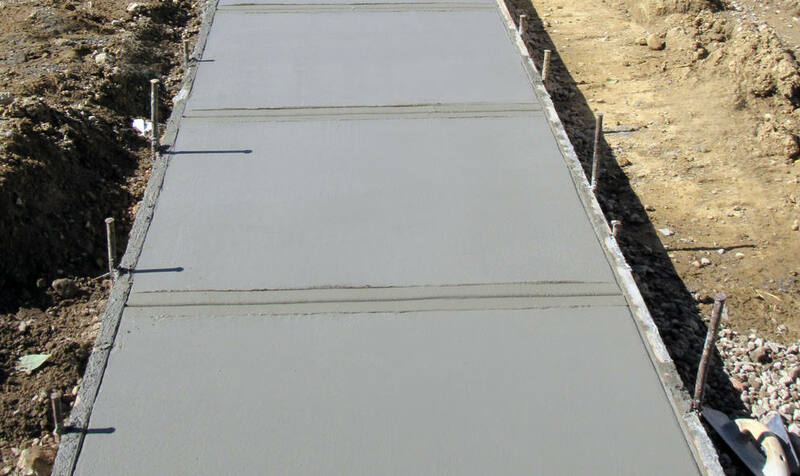 Concrete is an ideal material for footpath construction. Not only can it withstand the elements and survive in extreme temperatures, but it is also very durable and easy to maintain. You can simply scrub it clean with water and soap or use a pressure washer for hard-to-remove dirt and stains. Concrete also comes in a wide range of coloured and textured finishes, ensuring that you’ll have various designs to choose from that will complement the exterior of your business or home. When it comes to concrete path construction, JNL Construction is a name you can count on. With years of concreting experience under our belt, we are quite confident with our ability to provide you with high-quality work and friendly, reliable service. Each member of our team is skilled, experienced, and qualified to ensure a safe worksite. We’ll also work with your architects or contractors to ensure that the paths we lay are exactly as specified, so you can avoid wasting your time and money on unnecessary reworks and modifications. Whether you need help setting up metres of concrete footpaths or just a short path to your doorstep, JNL Construction will get the job done to your utmost satisfaction. Need A Concrete Footpath in Mount Gambier? The concreters at JNL Construction can help with everything from concrete footpaths to house slabs and concrete driveways. All residential and commercial concreting work.